“Babies don’t deserve to be thrown in the garbage like the scrapings off the plates of the Thanksgiving dinner.” Connecticut Superior Court Judge Robert Delvin, Jr.
“Cost neutral communication options” is the term used since April 2010 from the Connecticut Department of Children and Families and legislators when it comes to the “throw away behavior” concerning babies born to girls who are not prepared to be parents. The Safe Haven Law was enacted in year 2000, in part as a result of a case occurring in Cheshire, CT in November 1995 with a conviction of second degree manslaughter. In summary, infants 30 days old or younger can be brought to a Safe Haven (defined as any hospital emergency department). A nurse will meet the parent in a private room to obtain medical history (if the parent choses). Parental rights will be terminated in order for the baby to be adopted, and they will be given a packet from DCF. DCF will assume immediate custody of the infant. If the parent changes her/his mind, it is recommended that they immediately contact DCF and apply for legal representation. Parents who do no harm to their infant, cannot be criminally charged with abandonment if they use the Safe Haven law. This is where the cost neutral portion intersects with real life. Although it may make legislators “feel good,” in my opinion, it is like emptying the ocean with a teaspoon to devote a sole day to discussing this issue! Unwanted babies may give rise to a missing person’s status, or intimate partner violence or human trafficking situations and can ultimately lead to homicide. EAST HARTFORD — Detectives are investigating the death of a baby whose body was found in a trash can outside a Tolland Street home Tuesday night. Police were dispatched to 1047 Tolland St. at 8:30 p.m. Tuesday for a check welfare call and after checking the area found an infant’s body in an outside trash can, police said. The child had been born recently. East Hartford paramedics pronounced the newborn dead. Sgt. Michael DeMaine said police went to the house after a doctor at Connecticut Children’s Medical Center called them to report that an 18-year-old woman arrived at the hospital showing signs of giving birth, but without a baby. Don’t ever say that bad things don’t happen to good law-abiding people living in affluent communities. It was in the picture perfect town of Cheshire that an unforgiveable crime was committed in 1995 by a 16-year-old Cheshire High school girl named Amanda Beckett. She became pregnant by her boyfriend in February 1995, “but never consciously acknowledged she was pregnant or sought help.” She was approached at school about the possibility of being pregnant and if she was in denial. Her mother, Barbara, was a pediatric nurse and still did not recognize any signs of pregnancy. The defense attorney claimed Amanda may have mistaken her labor pains for menstrual cramps. On the afternoon of the birth, she stayed home from school and then realized she may be pregnant when she went to the bathroom. Police presented a probable scenario that she was helpless, afraid and traumatized for about ten minutes, retrieved the baby from the toilet, and slapped its buttocks without response. The Medical Examiner ruled that the baby was born alive and remained so “for just a few minutes” dying of asphyxiation with drowning and contusions. Reportedly, Amanda “meticulously cleaned up the scene,” double bagged the baby and threw her son, Joshua Paul, away “like trash.” Beckett returned to school the next day and even attended a football game as if nothing occurred! When questioned by the police, she denied the baby was hers and tried to divert their attention away from her and actually named four other high school girls she believed to be pregnant! Her son’s remains were located weeks later at the Resource Recovery Center in Wallingford. Beckett was an “unsophisticated criminal” who also left a cut up credit card in the trash bag that was traced to her. She was arrested in December 1995 and charged with first degree manslaughter under the Alfred Doctrine, not admitting guilt, but conceding there was enough evidence to convict her. The baby deserved to have a life and because the offense is so serious, punishment is warranted. The Sentence in 1997 was 18 months in prison and five years probation. BUT, the TRUE sentence served by Amanda was only seven months! There was a “small noise coming from a dumpster in Fairway Village, near Green Island Country Club on April 9, 2015. A newborn baby was trapped inside a plastic bag. Austin Detray located the baby and assisted his mother in reviving the baby. Reported two females were seen in a white car exiting the complex rapidly. On April 11th 23 year old Shelby Harper Taylor was arrested for attempted murder And was granted a $10,000 bond and instructed “not to come in contact with children” until DCF approves. “When these girls become pregnant, it’s too late…” James Dinnan, Senior Assistant State’s Attorney in the Amanda Beckett case. DCF may now offer more programs for the female offender in 2015, but then there are always more cuts to social programs. Should social media be the teacher here? Don’t trash your baby! Supporters say if the effort saves but one life, it is worth the legislation and all efforts! You will tell me what is wrong with Baby Safe Haven law awareness. There is most definitely something wrong with safe haven laws across the country, and it just keeps getting worse. But because most people can’t put their finger on exactly what the problem is I’m going to ask you, an expert, to point out what the problem is. To have you tell me what’s wrong we should first take a trip across the US and look at the basic data of the five most experienced and prominent safe haven law awareness centers. Then just maybe the problem will be pinpointed. Lets go west to east. One very recent press availability was the dedication of a small park in LA County in his name, and to the more then 100 newborns surrendered under the 15 year old safe surrender law he helped pass. But it seems there have been more newborns abandoned then saved in his region. Those exact statistics haven’t been released. Lets move east and look at Illinois. Once again the emphasis of the publicity is centered on “saving babies.” It’s also the name of the organization, Save Abandoned Babies. They’ve had just over 100 newborns surrendered under their law, but very recently released statistics that there have been 72 babies abandoned, with 37 deadly abandonments, since the Illinois law passed 14 years ago. Every time you see any media coverage of either an abandonment, or the release of information on newborns safely surrendered, you only see a now 68 year old retiree do every single interview on TV, radio, and in the newspaper story. So Cal and Illinois seem to have the worst rates for newborn abandonments, especially deadly abandonments, if you just do Google searches. And it’s easy to find stories and videos of the leaders of the two safe haven law awareness groups as well. Time to move north and look at New York. The newborn abandonment rates are still high in Google searches, you also find stories of safely surrendered newborns. But, you also see stories about the regional foundation leader, a 65 year old retired police EMT. He does all the media appearances explaining the safe haven law, the lack of ability in promoting it to the generation who uses it, and the need for more publicity about the law. He also wants to do all the publicity about the law as well — as do his counterparts in LA, IL, and FL in their regions. Lets move north to Massachusetts. It’s very hard to find recent stories about newborn abandonments. That’s because Massachusetts has only had one in the last 6.5+ years. Massachusetts releases statistics that in fact there has been only three newborn abandonments, one deadly, in the last 8+ years. Their stats show that they used to have an average of 3 per year prior to 2004, and the passage of the Baby Safe Haven law. Who does the promotional awareness media availabilities? You don’t see any retired police or 60+ year old officials, you only see young people, primarily a now mid-twenty year old young woman who is very prominent in many web searches under Baby Safe Haven — especially video searches. Use their brand name, Baby Safe Haven. The state boasts proven statistics that they have gone from one of the highest newborn abandonment rates, prior to law passage and implementation of a youth led awareness campaign strategy, to the lowest rates ever recorded in modern times. Simple searches bear out the cause and effect, as well as numerous youth led awareness activities. The emphasis of all Massachusetts campaigns is also very different! It’s always centered on young people helping peers learn about the laws, hotlines and web sites to get help in a time of crisis that could lead to an abandonment. Peer to peer communication with young role models who show that it’s normal to discuss Baby Safe Haven among peers. Never discussion by elder officials about “saving babies.” Seems they want to help young women first, which then always helps the babies they are carrying, or delivering. Massachusetts has used teen rap singing as TV PSAs that have the highest number of web hits for any video of its type. There are young twenty something comedians that have used the rap song as part of comedy routines, further spreading the name brand and basic law info in a complimentary way. 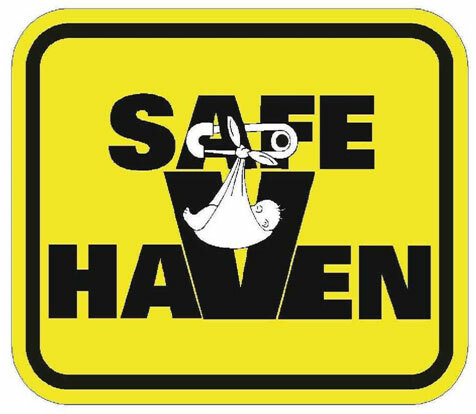 Searches also show a teen/20s rock rave club named “The Baby Safe Haven” that existed in a Boston suburb where large numbers of student housing is in walking/few T bus stop distance away. Seems Massachusetts is a very youth oriented, driven and a very youth accepted awareness campaign. Other searches across the country, as recently as looking at the last seven days, shows the same patterns. Many, many stories about abandoned newborns, outside of Massachusetts. You also see many, many officials much older then the young people who may be using the safe haven/safe surrender laws. The older officials are doing all the media spokesperson work. The pattern is the same is places like Indiana, South Carolina, New Jersey, Missouri, Connecticut, Michigan, and many, many more states. So now it’s time for you to tell me what is wrong with safe haven/safe surrender laws. Introducing just a few of the young people who will inform their peers.